Cassandre’ the Voice of An Angel is a show experience unlike anything else in Branson! Cassandre’s stunning, world class voice is backed by the largest live orchestra in Branson featuring 10 members playing 20 different instruments! Dazzling costume changes and high energy production add to the fun! 40’s, 50’s, 60’s, 70’s Pop, Broadway, Gospel, Love songs, Big Band, Country and more! As an added surprise Cassandre’ has a few tricks up her sleeve for unexpected, hilarious laughs along the way! The Brett Family show is a crisp and polished two hour production featuring musical variety from the 30's to the present with a good dose of comedy. This is a variety show for all ages. This a capella vocal band, as seen on NBC's The Sing Off, delivers a performance that will have you “purring” with excitement! These vocalists will wow you with their skills, woo you with their charm and win you over with their showmanship. No instruments necessary - they only use their voices! A tribute to the great Andy Williams and a Christmas show in the style that he made famous. The Rankin Brothers, their talented cast of three female vocalists (The Rankinettes) and their all-star band take you on a trip down memory lane, featuring Rock n' Roll, Country, gospel and comedy. A great variety show with musical impressions that are astonishing! The Duttons combine beautiful vocal harmonies, instrumental virtuosity, high energy dancing and heartwarming comedy. These are seasoned performers who have toured the World and were 2007 finalists on "America's Got Talent." Non-Stop Excitement!! Starring Joe and Tamra Tinoco along with Talya and a standout cast of singers and dancers who take you on a journey from the 1940's to today! Seven decades of music! Take a nostalgic and moving musical ride with The Mamas & Papas, Simon and Garfunkel, 5th Dimension, Joni Mitchell, Burt Bacharach, The Association and many more. Great harmonies, energetic dancing and laughs to create a truly touching walk down memory lane. Dalena Ditto's "Thanks for the Memories"
She will put a tear in your eye, a smile on your face and warmth in your heart that you won't soon forget. Come see Delena combine a perfect mix of humor, music and nastalgia while playing tribute to God and the Country she loves! The new show of the Hughes Bros called "IT" has a cast of 47 (and growing)and is Electrifying! Incredible Harmonies, Entertaining Antics, Dynamic Dance, Soaring Instrumentals, Creative Production Numbers, and of course, Brotherly Love combine to make this one Huge Show! Pop music from Ireland! This talented group of Ireland's finest singers are taking the concert world by storm as they perform their award winning show to sold out concert halls in Europe and America. From Opera to pop music, from jazz to classical, this show is a smash hit! Six real brothers and six human voices…period. Their voices do it all, percussion, instrument, harmonies and more. Fantastic variety show! 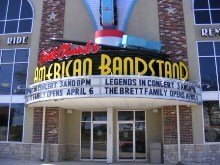 A renovation of one of the most popular shows in Branson is in store for fans in 2013. A new stage production along with new cast members brings a whole new look to this great show. A different show is performed in the afternoons. This is a great production with great music including pop, country, gospel, contemporary and instrumental . Totally 70's Music Explosion will star Barry Williams as he takes audiences on a nostalgic trip back in time with talented singers and dancers, a live band and a state-of-the-art multimedia presentation. A master violinist and fiddler, Shoji knows a little something about putting on show. Set in a grand theater this is a high energy, top of the line production of music and dancing. 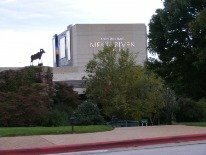 The variety shows in Branson will entertain you, so add one or more of these to your trip planner.